Bloomberg BNA Tax and Accounting Center (formerly BNA Tax Library) provides users with online access to expert Bloomberg BNA analysis, tax codes, court cases, and articles and commentary on accounting and tax planning. The “Practice Tools” section includes previous year’s tax forms, the Federal Tax Calendar, working papers and tables and charts. Bentley’s subscription to the Tax and Accounting Center includes selected Federal, state and international materials. Primary source materials include the Internal Revenue Code, state and Federal tax cases, and Treasure Preamble Decisions. The link for the Bloomberg BNA Tax and Accounting Center is located on the Bentley Library’s Databases A-Z page. BBTAC has a unique login for users. 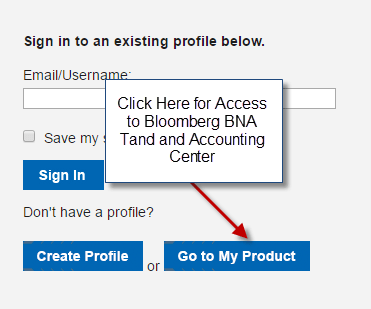 From on campus once a user clicks on the link to the resource they will be taken to a Bloomberg BNA login screen. When the page loads click on the “Go to My Product” button. Users do not need to enter a username or password or sign in to BBTAC. Remote users will authenticate using their Bentley email address and username and then they will be brought to the Bloomberg BNA login page where they too will click on the “Go to My Product” button. Once in logged in to BBTAC users can explore the the Federal tax tab which includes BNA’s Expert Analysis, with access to the U.S. Income Portfolios, Estates, Gifts and Trusts Portfolios, and U.S. International Portfolios. The News and Commentary section provides the latest from BBTAC’s editors, with an emphasis on the U.S. Congress and executive branch tax news. The Federal content area also provides a search box for searching Federal tax cases and rulings. The State tab also provides users with access to BNA’s State Tax Portfolios and Sales & Use Tax Portfolios. 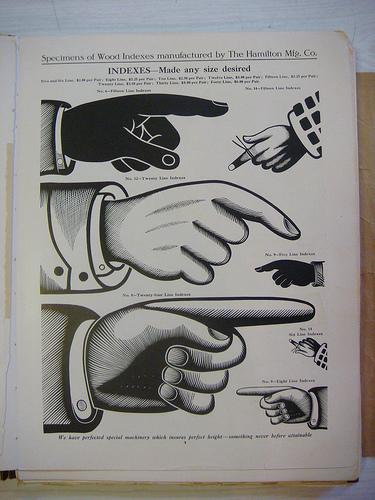 Primary source materials in the State section include state statutes, regulations and rulings. State tax forms are also available in this content area. The Estate Planning section of BBTAC provides access to Estates, Gifts, and Trusts Portfolios. Those users interested in researching Transfer Pricing will find the BNA Transfer Pricing Portfolios for 27 countries and the OECD. Access the Richard K. Miller & Associates handbooks via the Databases A-Z , Marketing Databases, Companies & Industries Databases and International Business web pages. Global Insight is an overlooked gem of a resource – providing access to expert economic, financial, and political analysis for 204 countries. You would be hard-pressed to find a better source for analysis of the risk and business environment of developed and emerging countries, regions, and industries. Global Insight also provides extensive historical data sets and forecasts for all countries. The service’s analytical content consists of four core elements that are fully integrated and revised continuously. Same-Day Analysis Articles & Special Reports: Daily articles track risk- and business-related developments worldwide, as well as economic data releases. Special Reports investigate key topics in greater depth. Article topics range from cabinet reshuffles and policy initiatives to economic data releases and terrorist threats. Country Reports: In-depth, consistently structured background reports covering the political, economic, security and general business environment in each country. Country Risk Ratings: A unique six-factor system focusing on foreign direct investment-related risk, tightly integrated with Same-Day Analysis articles and Country Reports. For all 204 countries, Global Insight grades six different risk factors: political, economic, legal, tax, operational, and security. These are then weighted and combined to form the overall country risk rating. Sovereign Risk Ratings: An assessment of the financial stability and credit-worthiness of all countries worldwide, plus side-by-side comparisons with the major ratings agencies. Global Insight includes a wealth of economic data for each country. The datasets include historical data for some variables as far back as 1979, and long-term forecasts to 2040. Every quarter, Global Insight produces detailed forecasts for up to 150 key economic indicators. The most important concepts—GDP, exchange rate, consumer prices, etc.—are forecasted for all countries; for the larger countries additional concepts include detailed accounts for the government and household sectors, and disaggregated trade accounts. Please visit the Global Insight database to explore this valuable database further, or visit our Databases page to view a complete list of our resources. Its records include articles, books, book chapters, dissertation abstracts, and even websites (more on that later). While mostly in English, MLA also includes research from other countries in over 70 other languages, and provides coverage back to 1923. The CSA search platform offers a powerful advanced search; zero in on exactly what you need by searching several different fields, including: scholarly approach, literary genre, time period, influence, and literary theme (e.g., subjects like “gender conflict” or geographic places). MLA allows you to distinguish between the author of an article, and the author about which an article is written; the same applies to language (e.g., an article written about Spanish, in English). While MLA International Bibliography serves mainly as an index, it’s easy to discover if Bentley has access to a resource by clicking “Check for Journal in another Bentley database.” It also links easily to Interlibrary Loan and exports to Refworks. You can also create a desktop shortcut (look at the bottom of the search screen) to search MLA International Bibliography directly from your desktop. Please visit MLA International Bibliography to explore this valuable database further – on the CSA landing page, click “Specific Databases,” and make sure that only the box next to “MLA International Bibliography” is checked. Visit our Databases page to view a complete list of our resources. The SAGE Management & Organization Studies database has been removed from the CSA platform and is now available via the SAGE Full-Text Collections website. The content of the database has not changed (full-text access to 40 peer-reviewed SAGE journals), however there is a new search interface. To access the new SAGE Management & Organization Studies database please go to the library’s Databases page and click on the link to [Management & Organization Studies]. Don’t hesitate to contact the Reference Desk if you have any questions or need assistance. IBISWorld provides reports for all of the 723 U.S. industries as categorized by NAICS, enabling you to look into any sector across the entire U.S. economy. Each report is approximately 25-30 pages in length and is updated regularly (many are updated as often as 3 times per year), ensuring that they reflect the current state of an industry. Supplementary Recession Updates are also now available for all industries. These updates provide a briefing on today’s rapidly changing economy and the short-term implications for an industry. IBISWorld reports contain trends, statistics and analysis on market size, market share of competitors and industry growth rates. Major market segments are identified and also those forces affecting demand and supply within the industry. Performance analysis includes emerging industry trends as well as recent production performance. Drawing on the depth of information IBISWorld also provides 5 year forecasts for each industry. Try it today! IBISWorld is accessible from both on and off-campus. Go to the library’s Databases A-Z page and click on IBISWorld. We want your feedback: Please send us an email to let us know what you think about IBISWorld. If you have any questions or need further assistance please contact the Reference Desk.